Earbuds in your branded box. 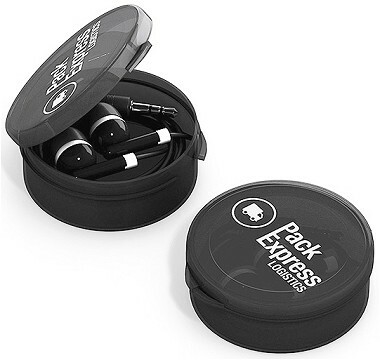 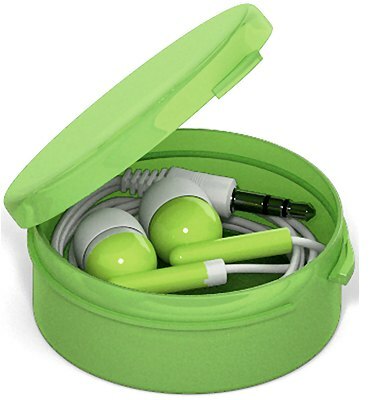 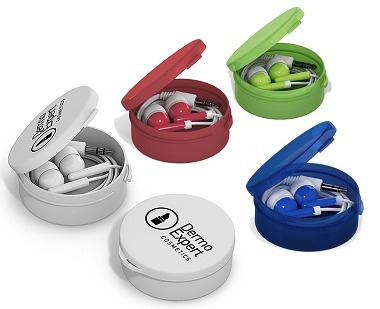 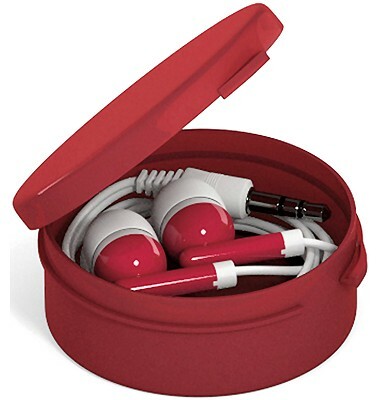 Stereo earphones in a round plastic box, compatible with most audio devices that have a 3.5mm audio jack socket. 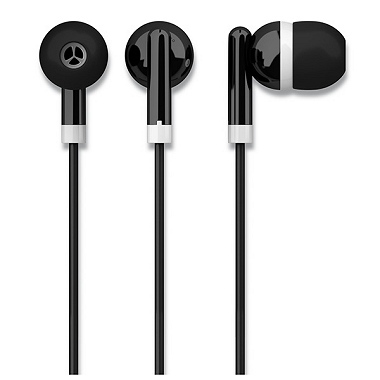 Bulk earbud / earphone prices.